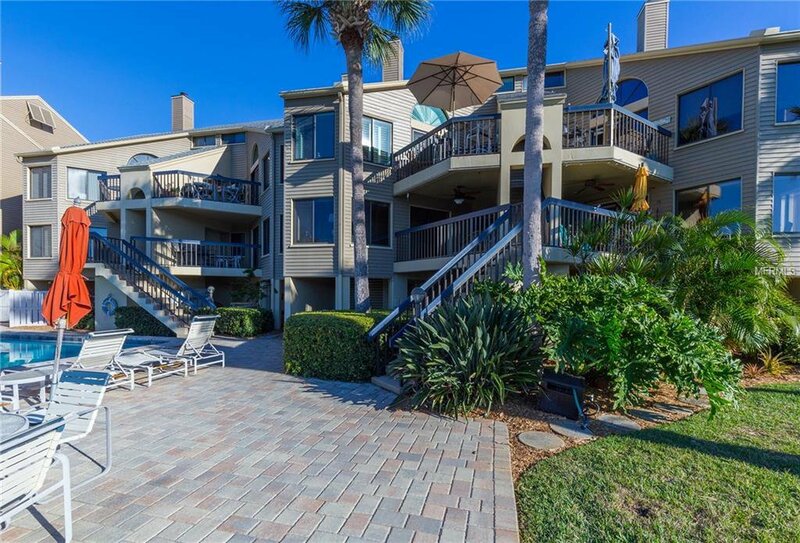 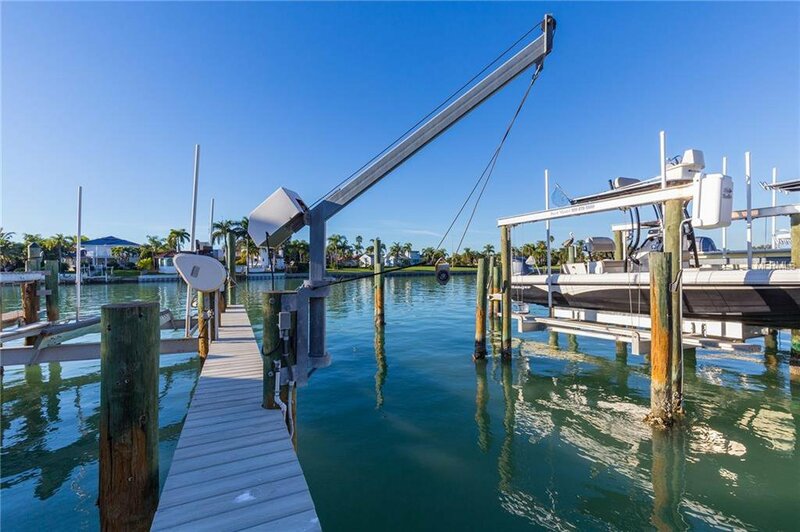 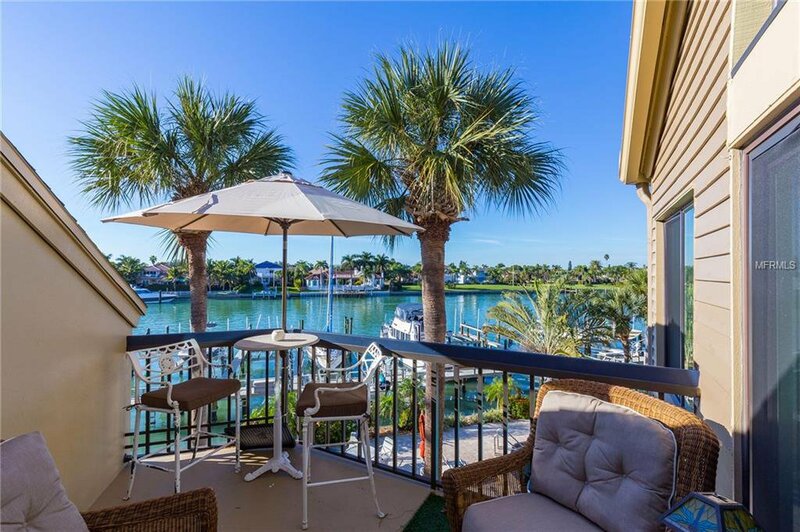 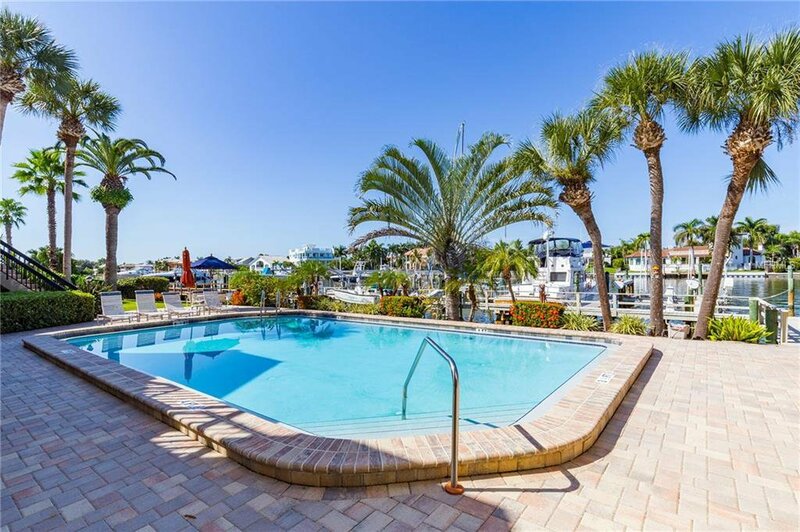 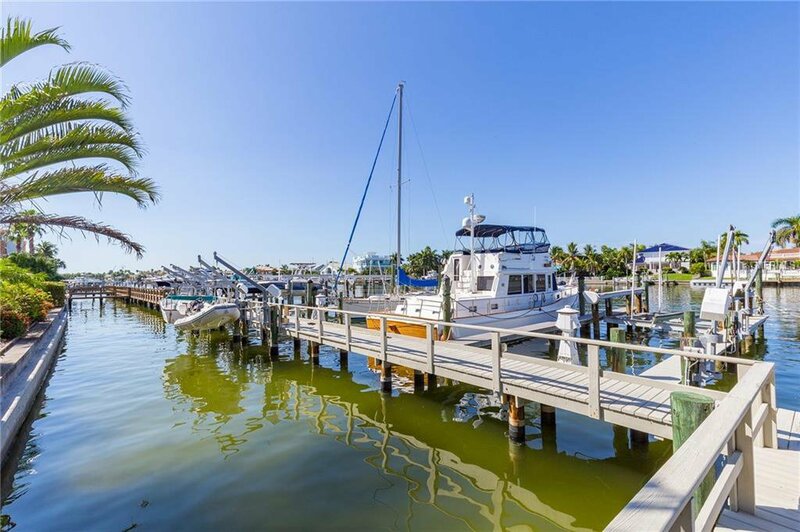 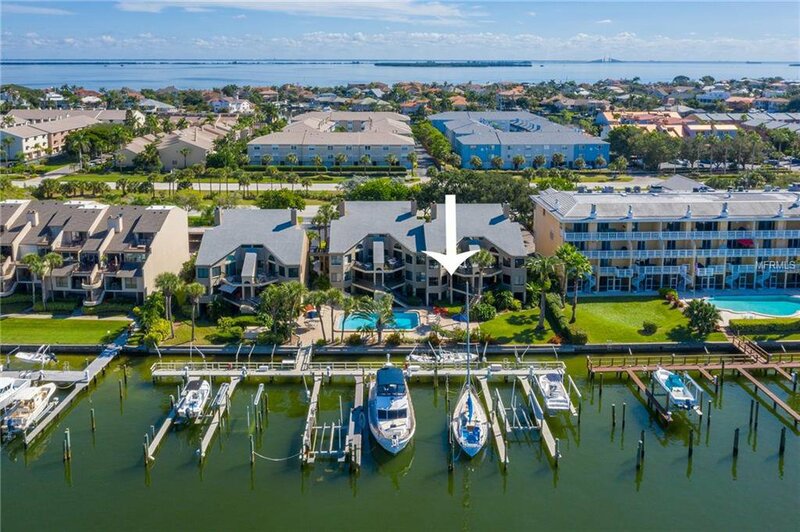 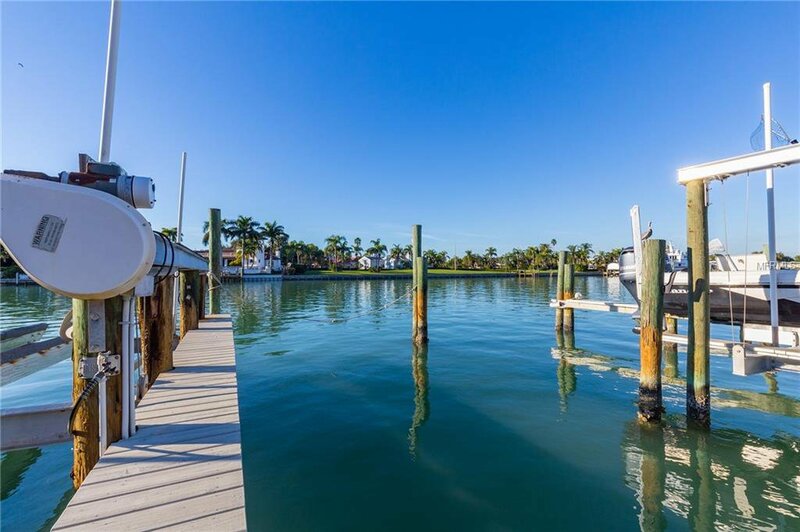 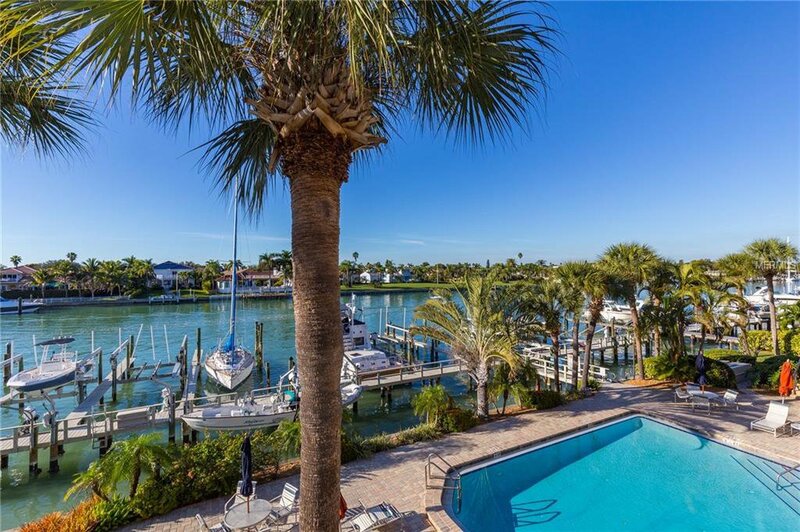 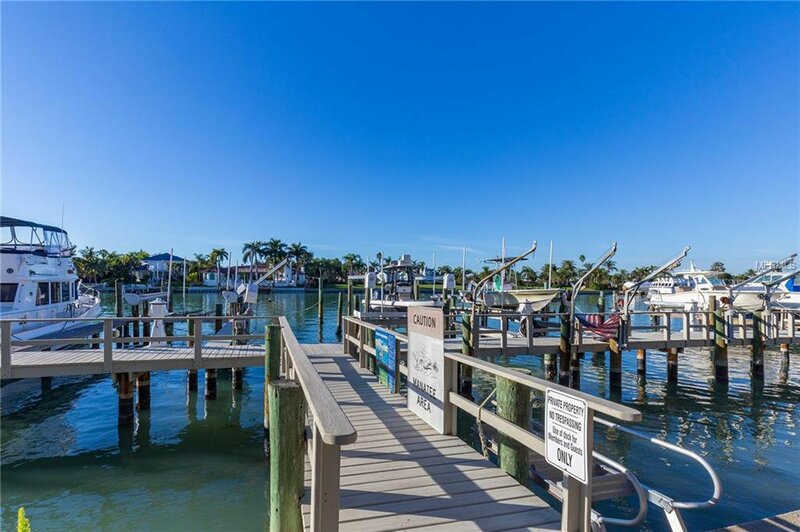 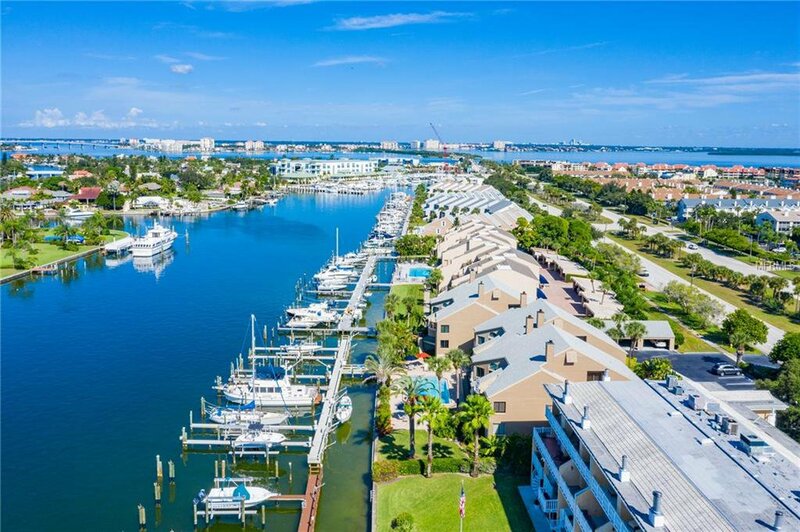 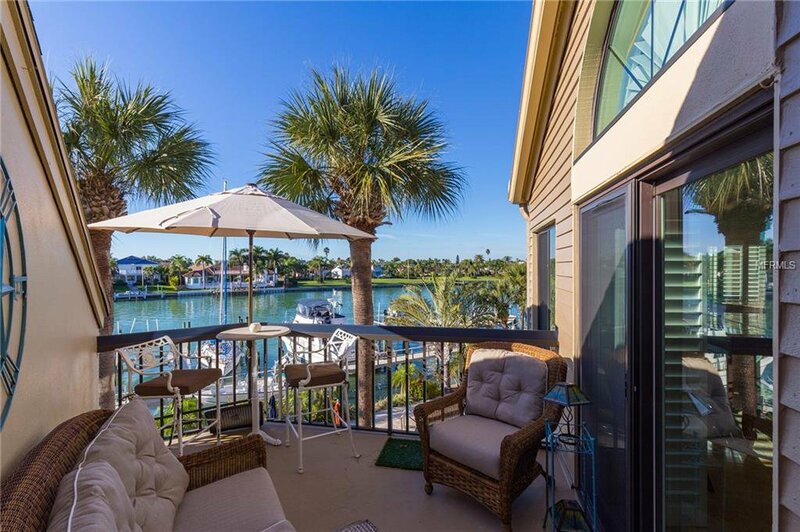 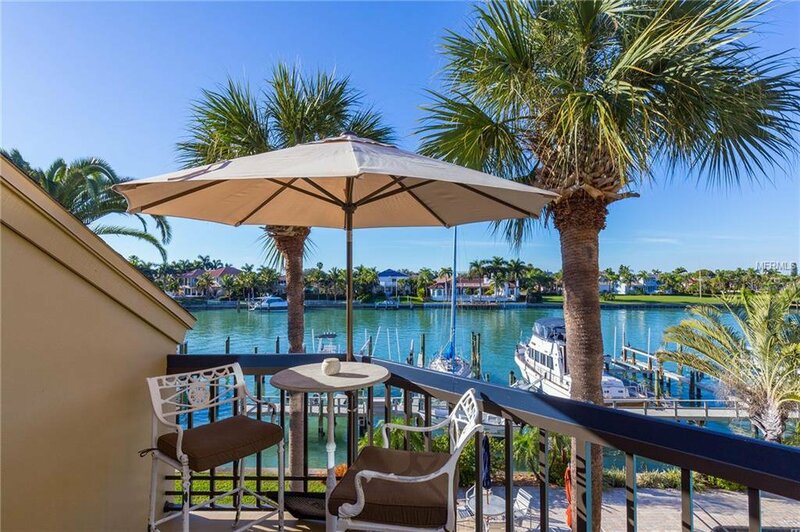 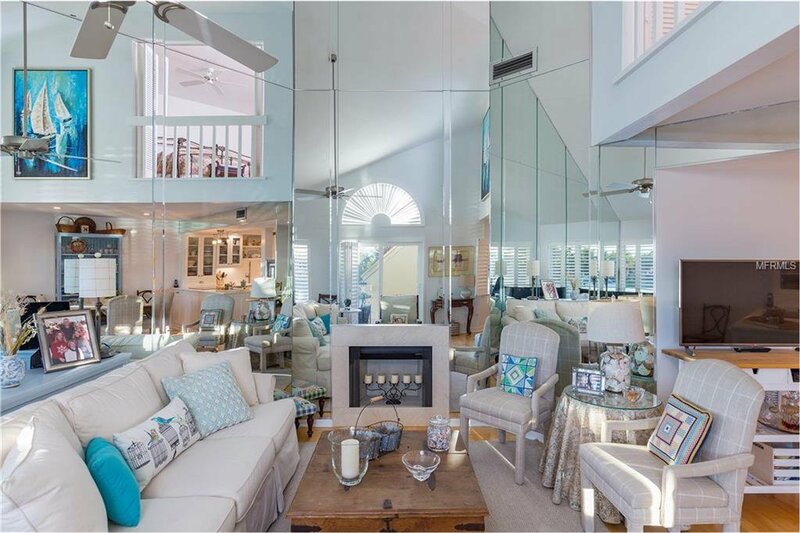 TIERRA VERDE WATERFRONT 3/3 CONDO with 50 FT BOAT SLIP! 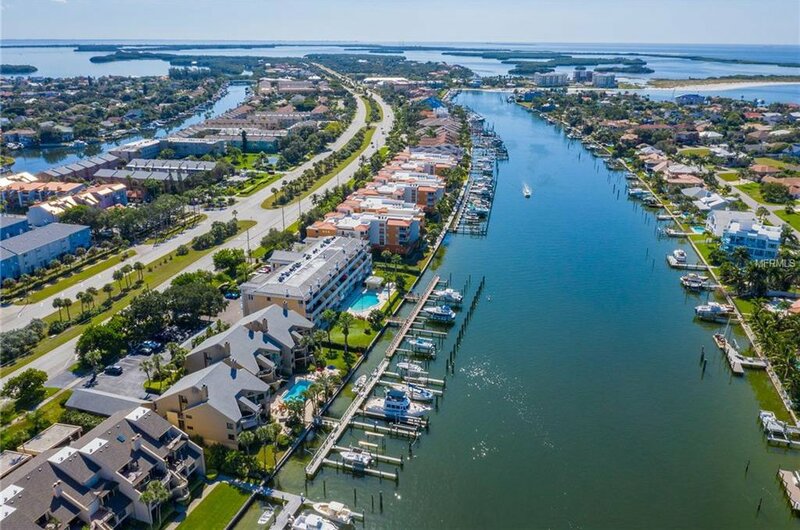 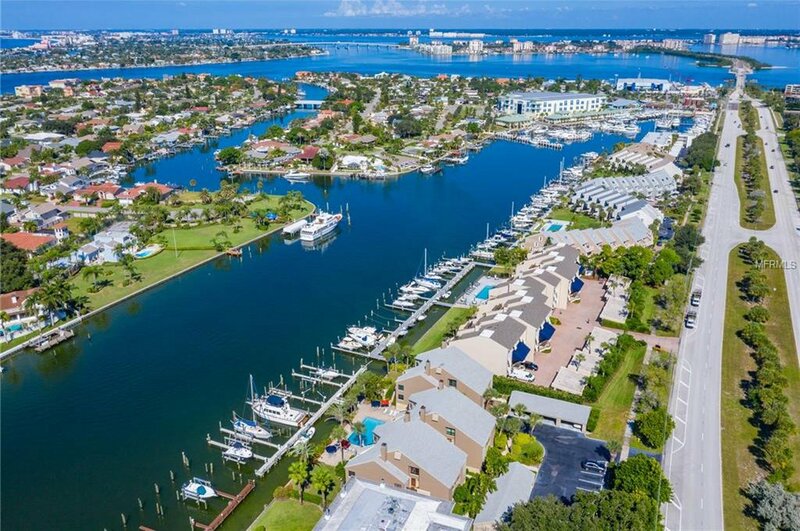 Pinnacle of Tierra Verde is a top notch community with stunning views of the Grand Canal. 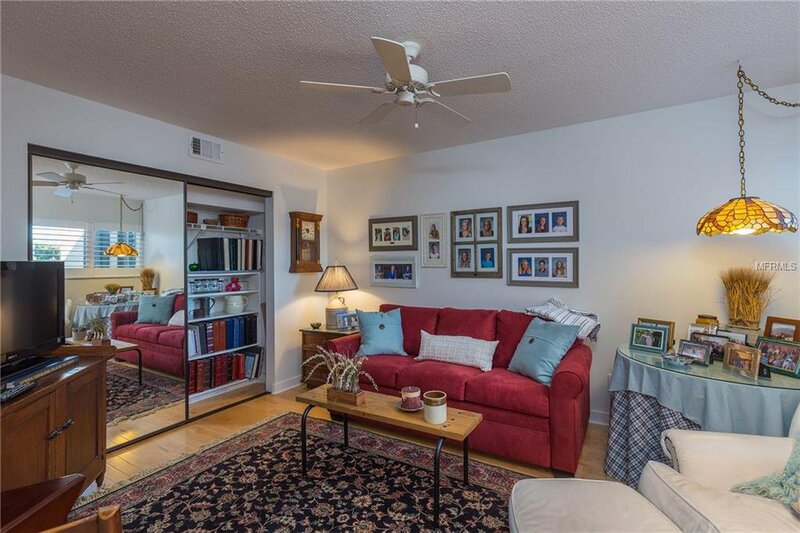 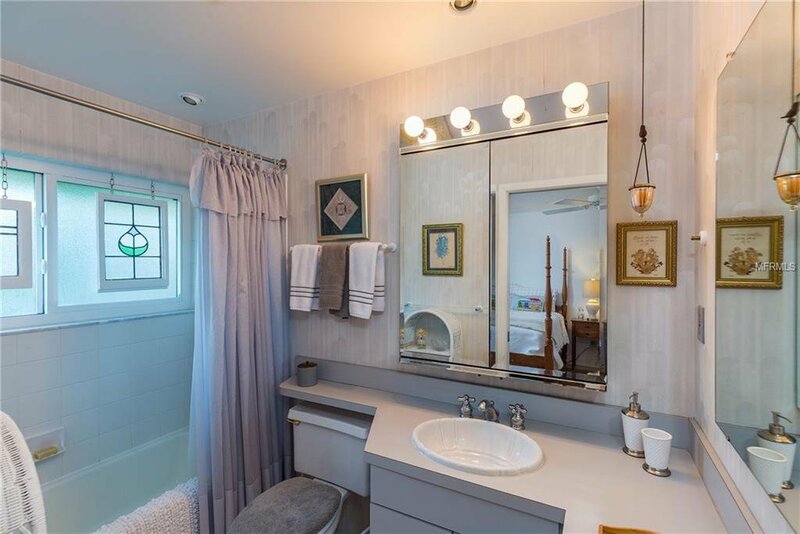 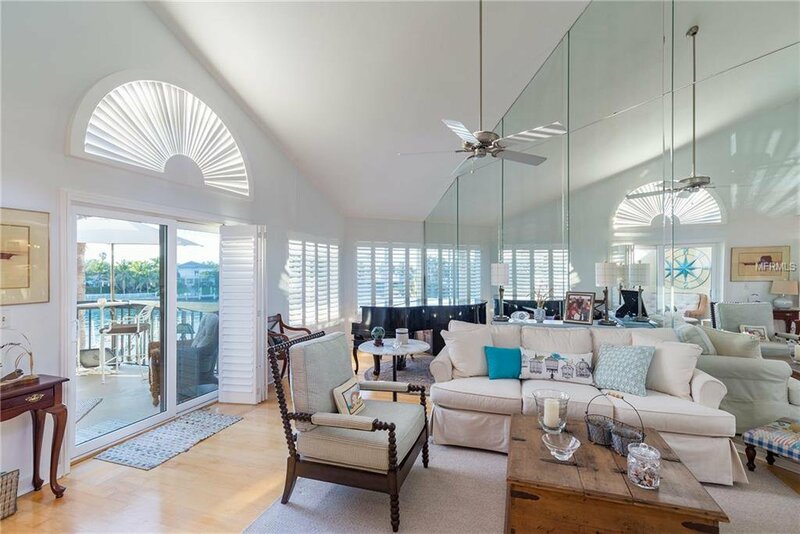 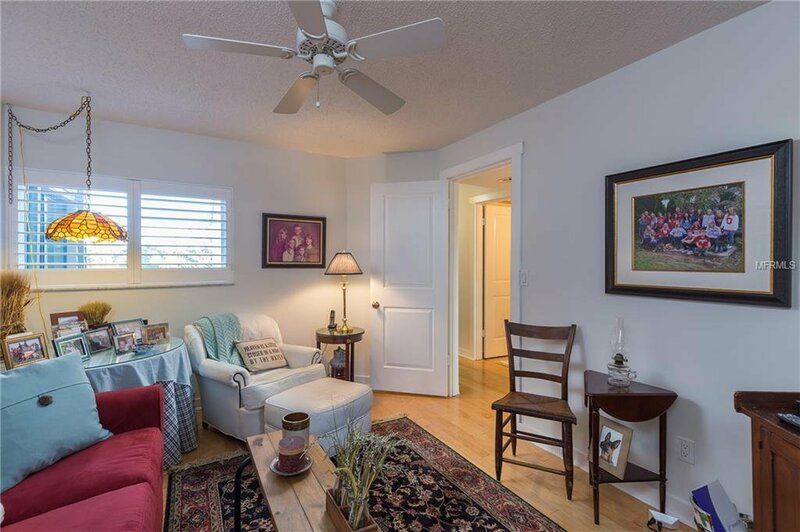 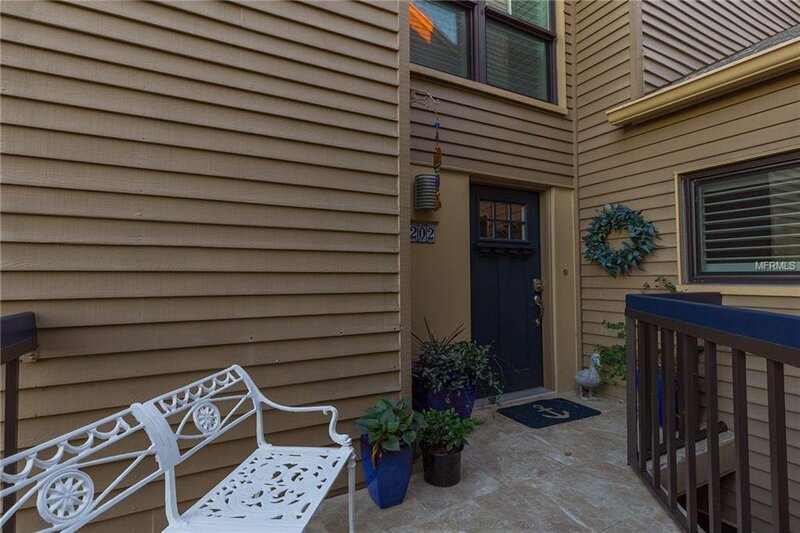 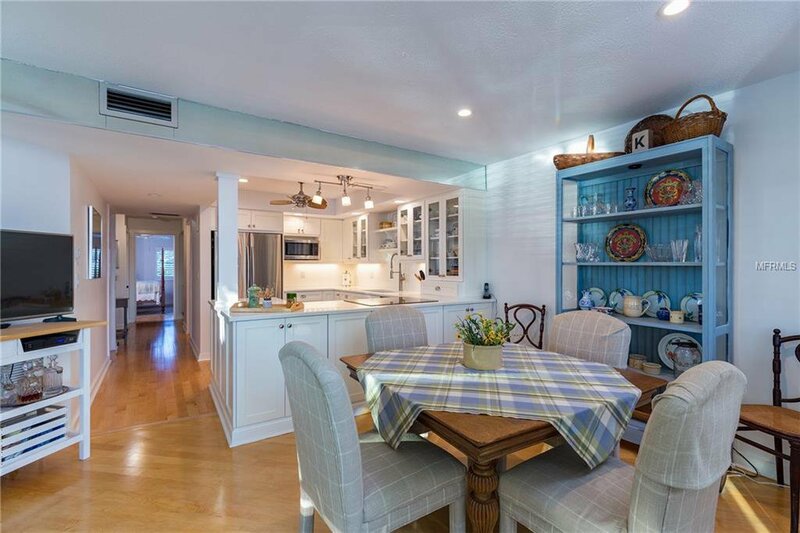 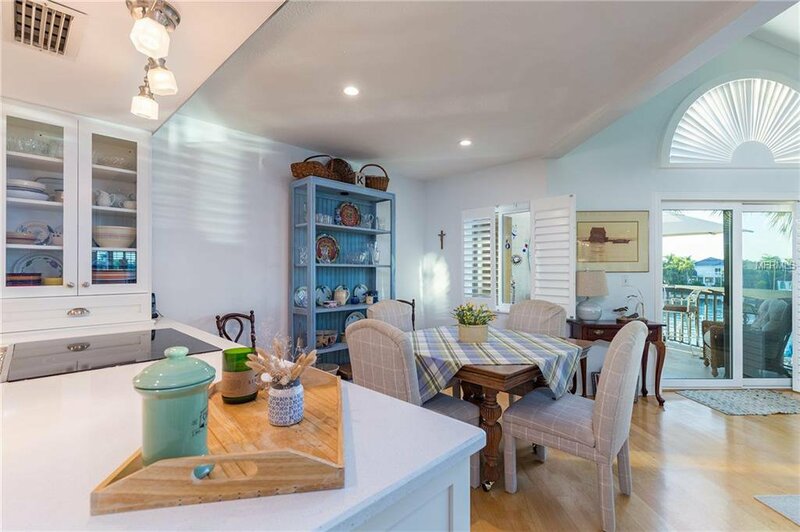 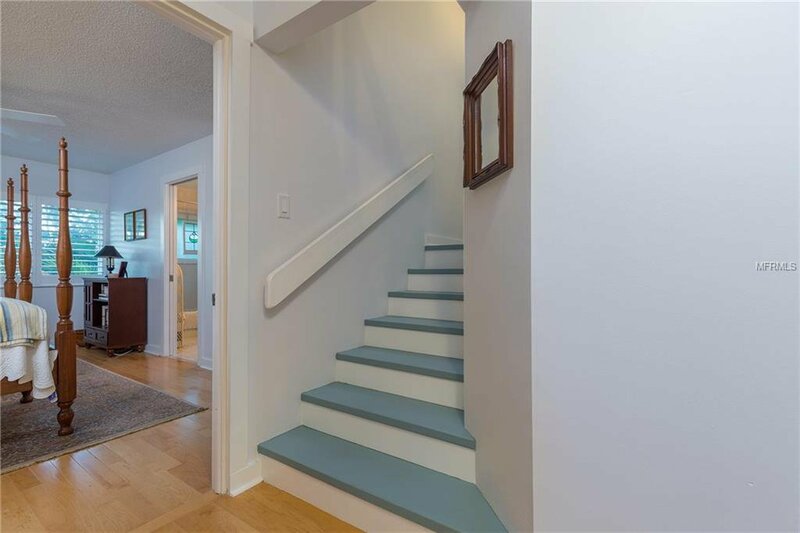 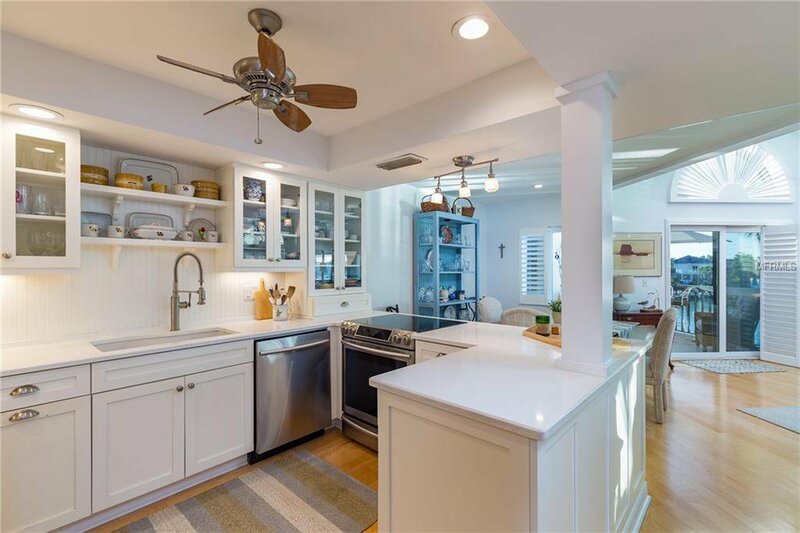 This updated and well-maintained unit features maple floors, quartz countertops in kitchen and baths, walk-in closet and custom plantation shutters on all windows + all new impact windows and doors. 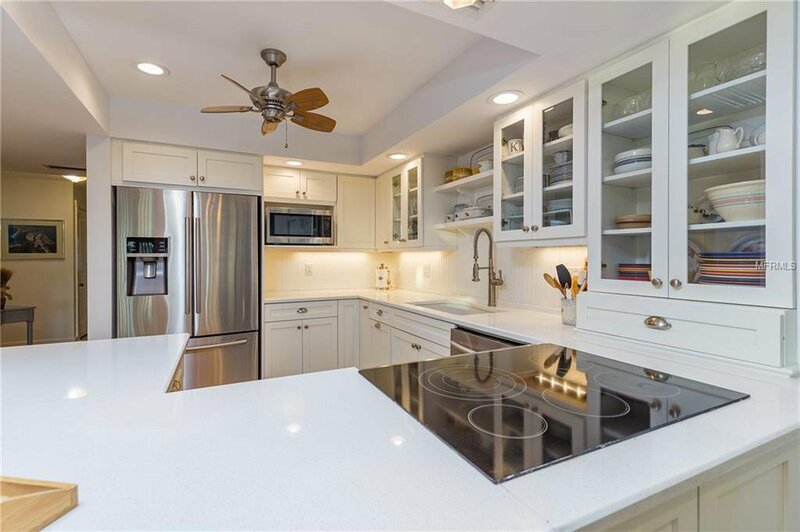 Stainless steel appliances complete this upscale look. 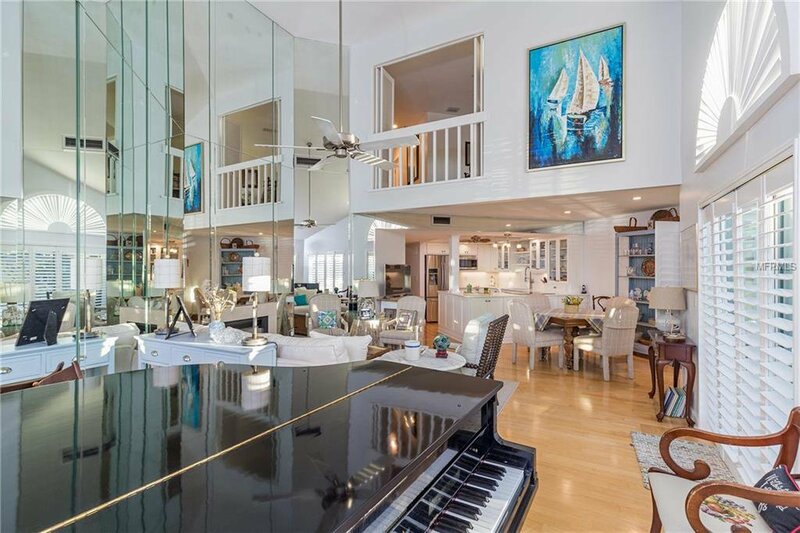 The main living area has a dramatic vaulted ceiling and the windows and sliding door offer dazzling water views of the Grand Canal. 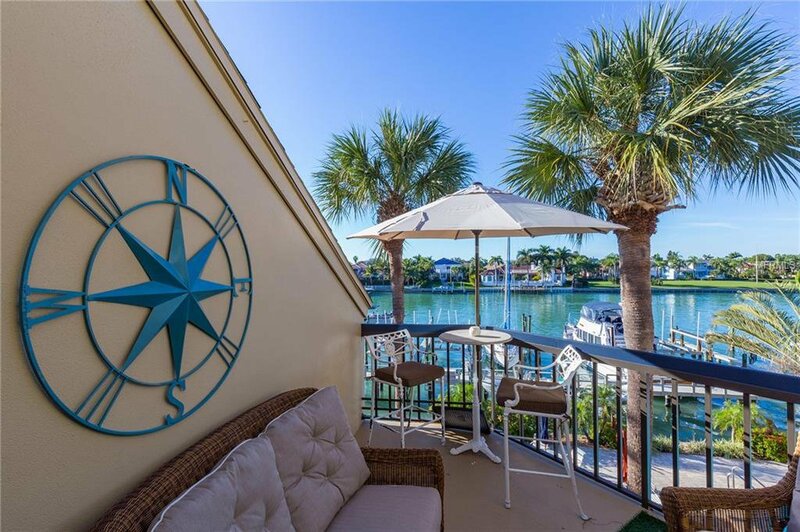 There is a comfortable private patio out back to enjoy a good book if you can tear yourself away from those views - especially at sunset, since the patio faces west for front row seating to the gorgeous sunset skies. 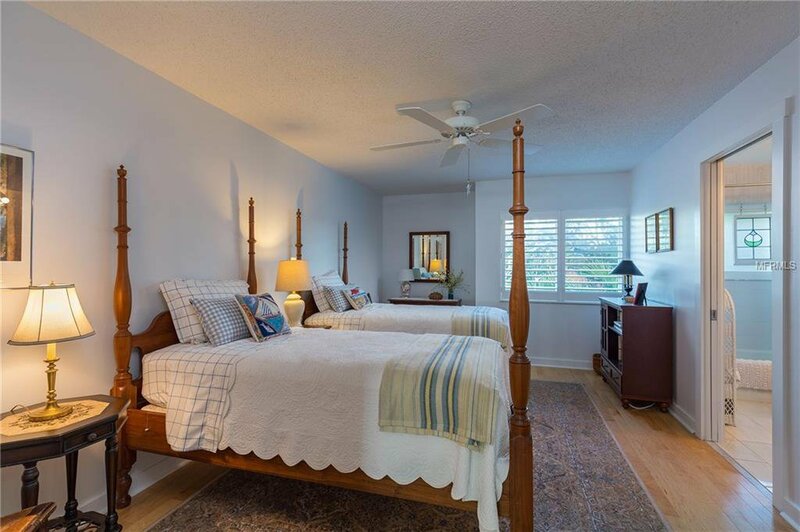 Tasteful treatments and finishes abound throughout this coastal gem. 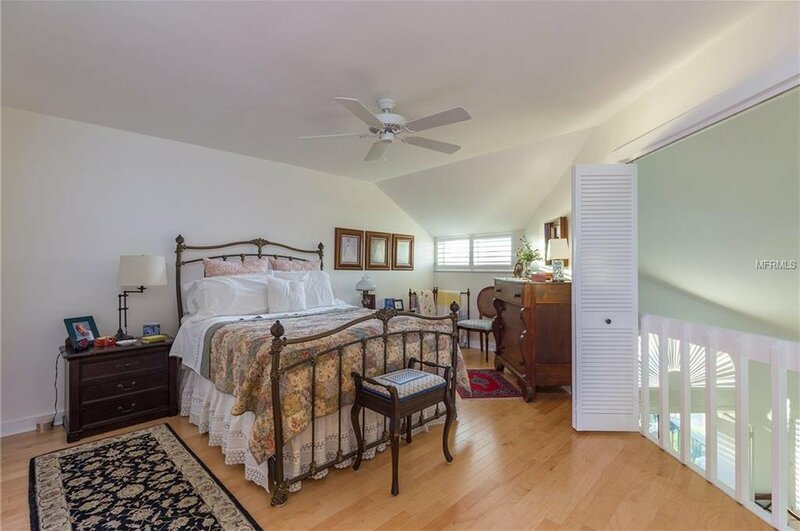 Master bed/bath and attic storage are located on the 2nd floor. 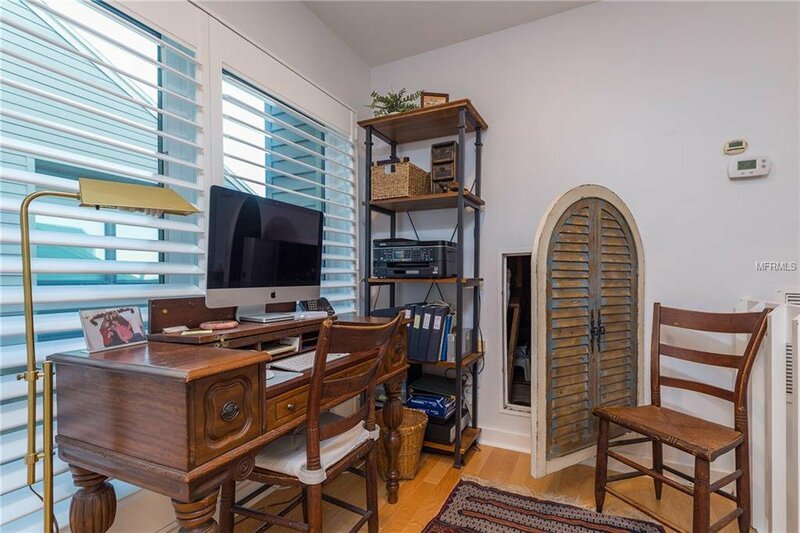 Some furniture may be negotiable for sale. 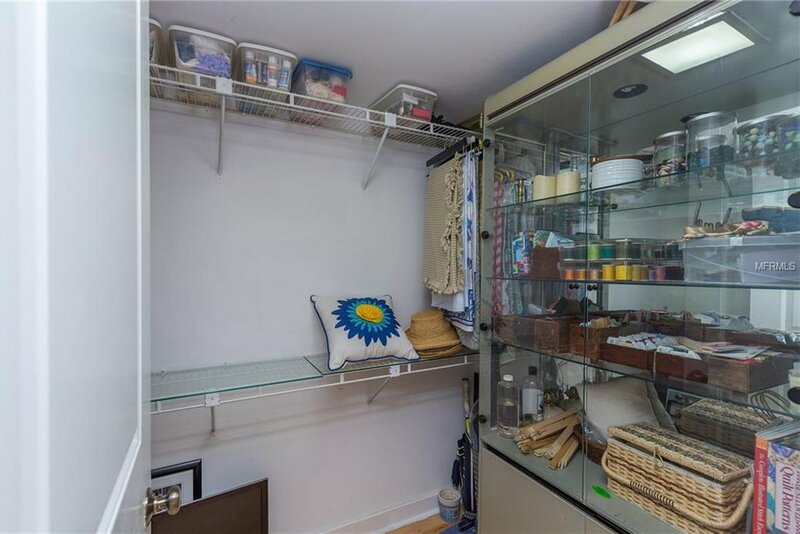 Full size washer and dryer conveniently located in the 2nd bath closet. 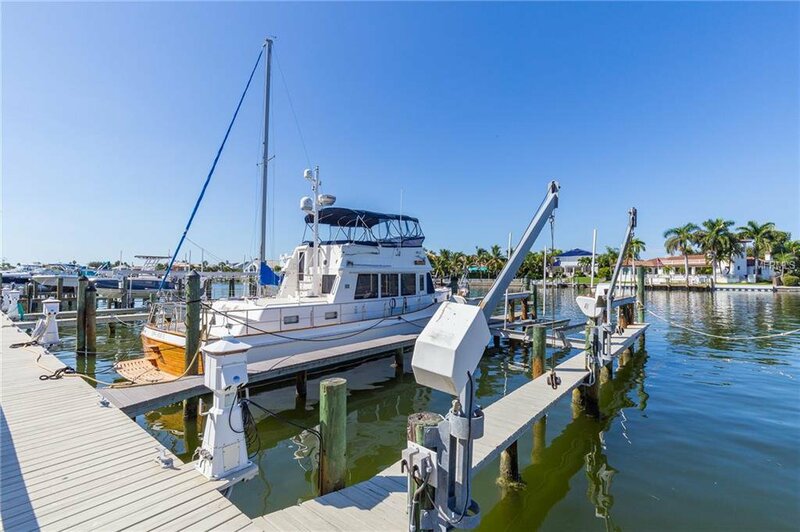 Boat slip has davits and dock offers water and electric. 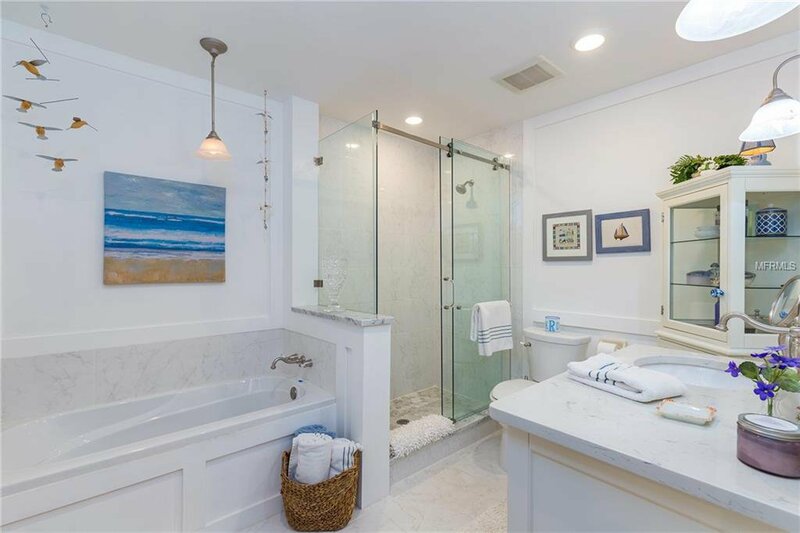 A whole house water softener is installed and professionally maintained. 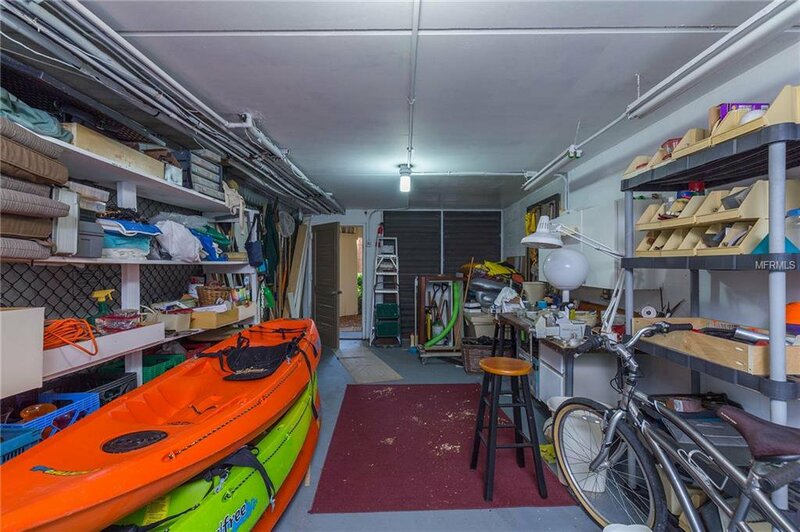 Besides the storage closet in the garage , there is a huge under building storage room large enough to store kayaks, furniture, treasures and with room left over for a work bench. 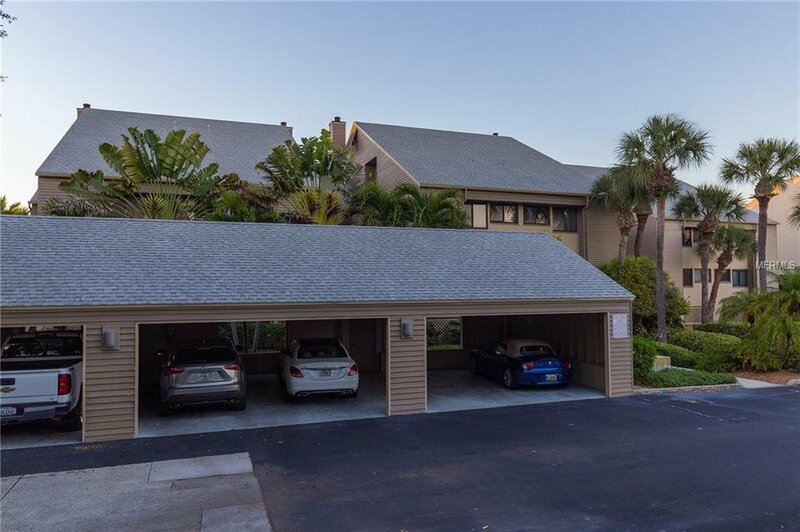 Unit comes with one assigned covered parking space and ample guest parking is available. 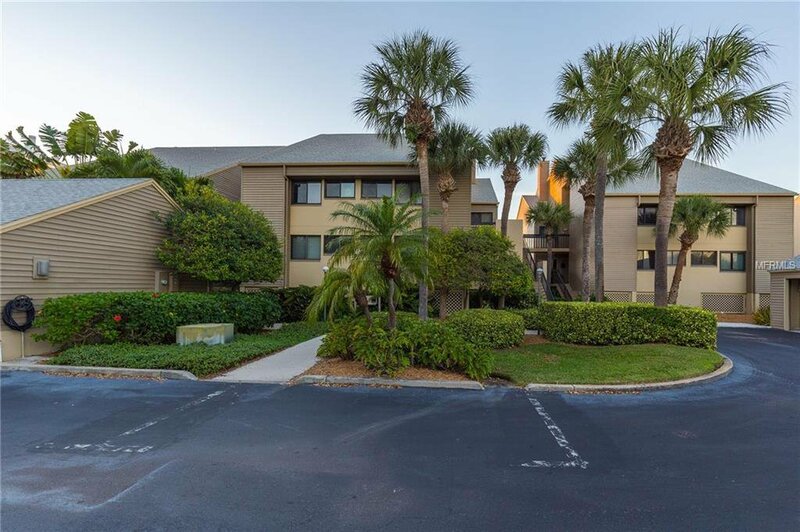 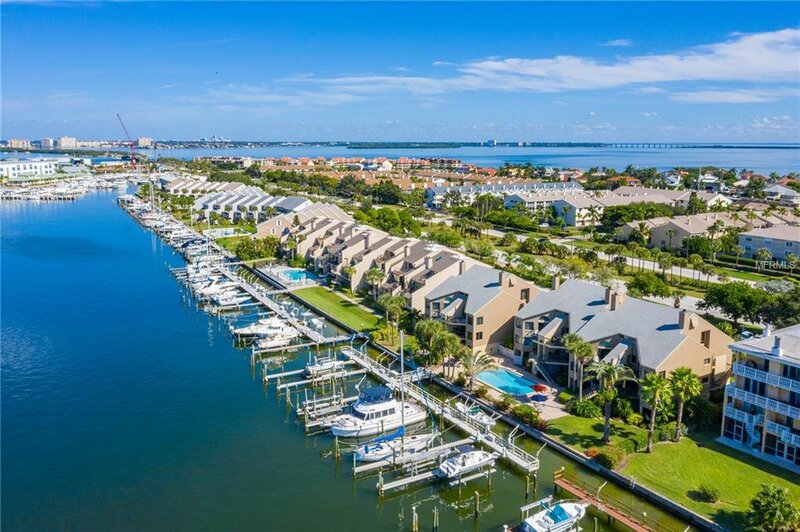 Tierra Verde is an upscale community convenient to St Pete Beach, Fort De Soto Park, and trendy downtown St Pete.